My kids are obsessed with space and the moon. When they heard what this dough was called, they really thought moon dough came from the moon. The first time we made moon dough, they were disappointed that the dough was simply flour and oil. However, for this batch, I thought I’d take the moon to them and make moon dough that really looks like moon dust! The kids were delighted with it and spent a long time pretending they were astronauts driving lunar vehicles across the surface of the moon. This post contains affiliate links. 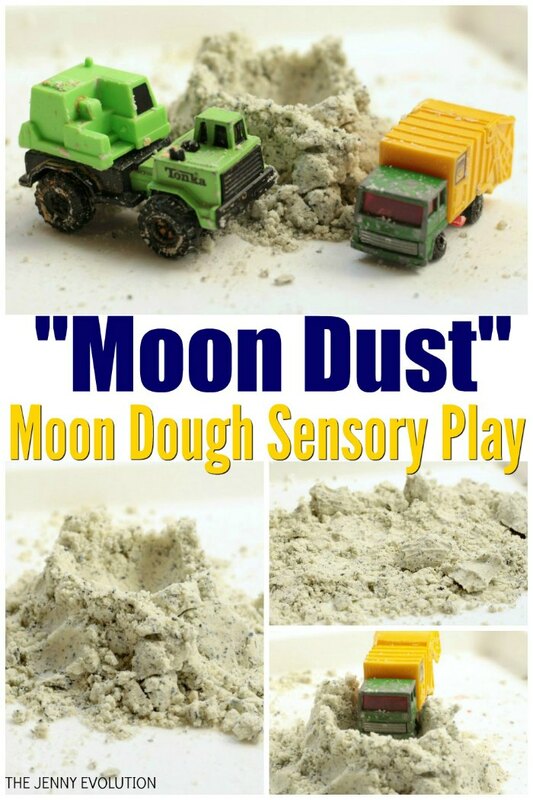 Follow these tips to make your own moon dust moon dough! 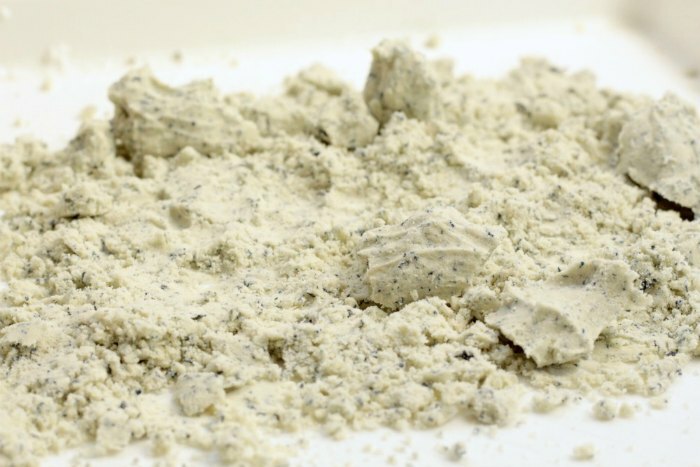 Whip up a batch of basic moon dough. We used two cups of flour and half a cup of vegetable oil and mixed it with a pastry fork. 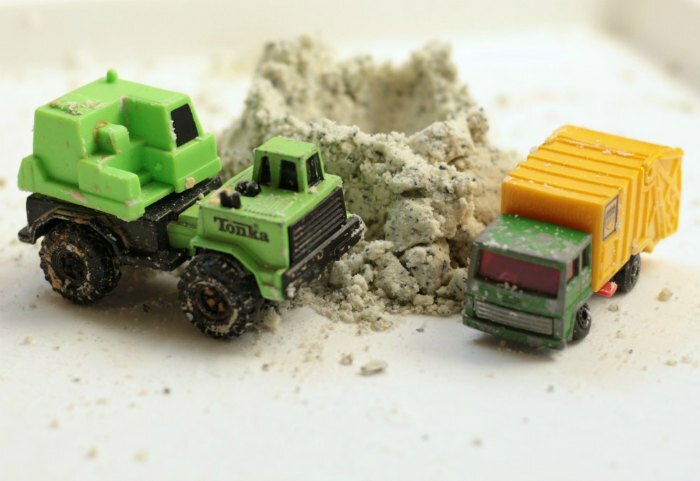 Depending on the humidity in your house, you may need to add a bit more oil. we like our moon dough to be firm enough to hold it shape, particularly for this version because we had to make moon rocks and moon craters. When the moon dough is mixed, sprinkle the top with blue food coloring. Mix in the food coloring with the pastry fork. The food coloring won’t mix all the way and will leave little clumps of blue. 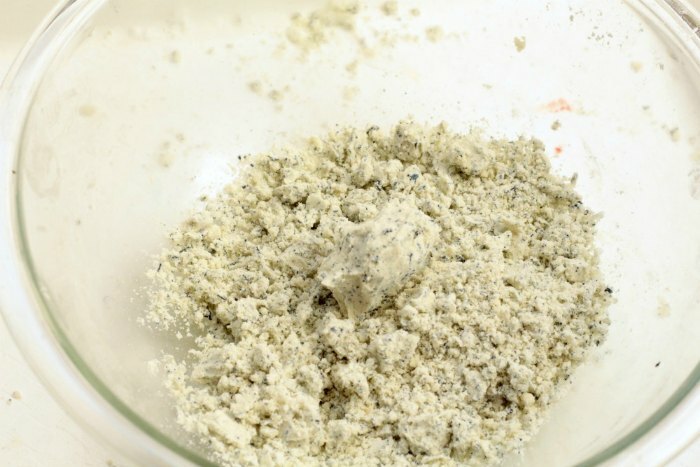 The rest of the dough will turn a light grey color, looking very similar to real moon dust! 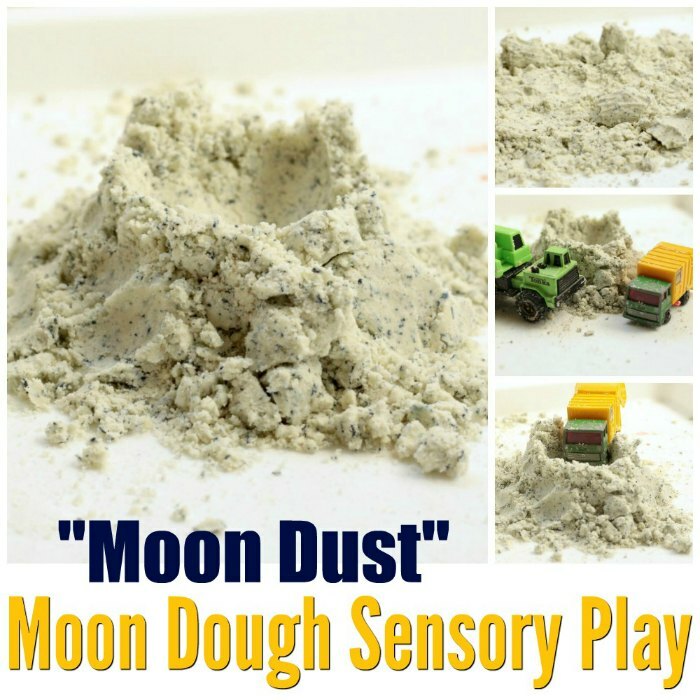 Pour the moon dough into your play tray. 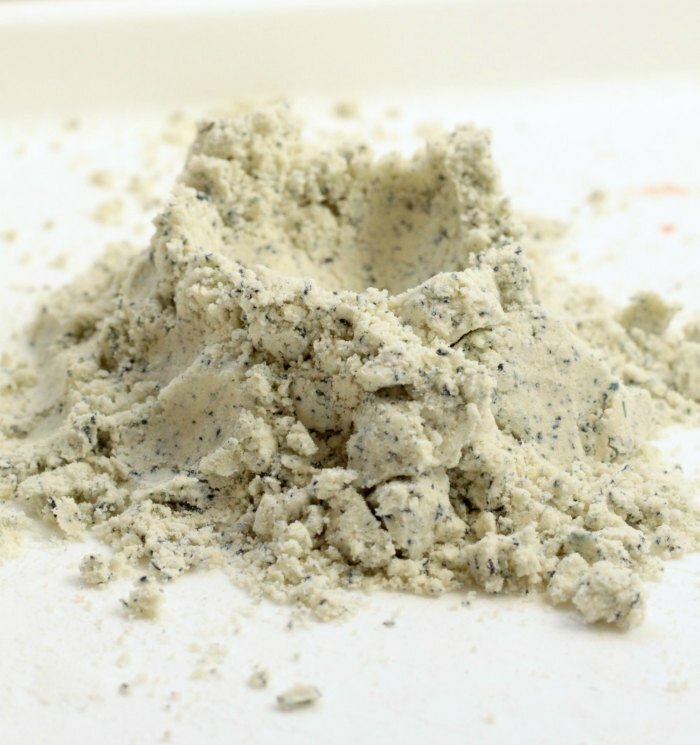 Show the kids how to form craters, moon rocks, and other space-themed shapes from the dough. 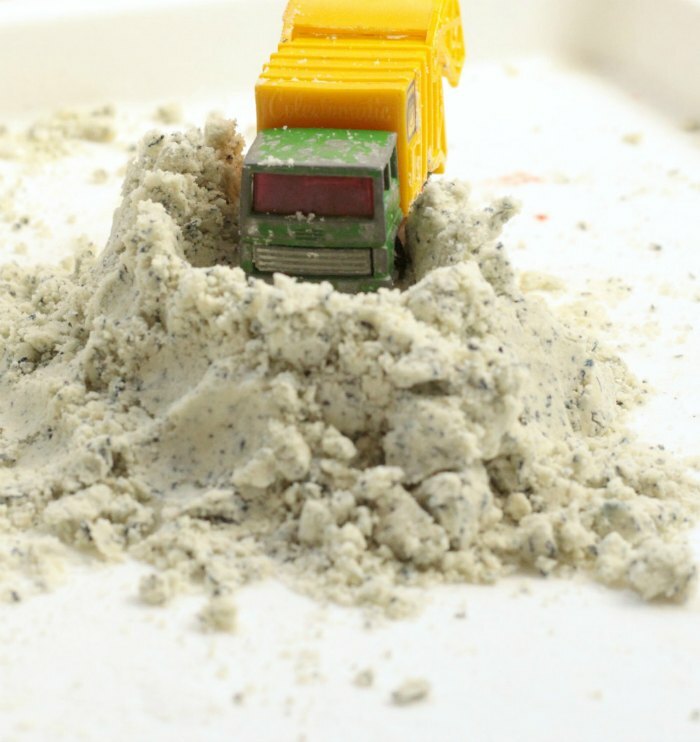 My kids love driving their cars through the dough to leave little tracks behind. When you’re finished playing, wash your hands with soap to get rid of any lingering flour and oil.